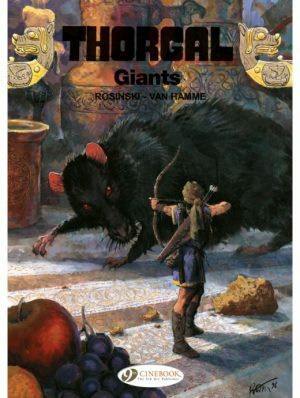 Surely everyone loves Marvel’s giant monsters. 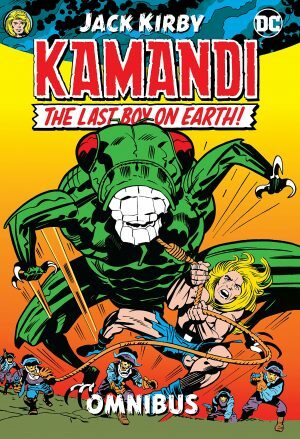 The way they’ve been incorporated in regular Marvel continuity in the 21st century has provided the likes of Groot and Fin Fang Foom with a far wider audience than Stan Lee and Jack Kirby could have ever imagined when creating them for throwaway short stories in the 1950s. 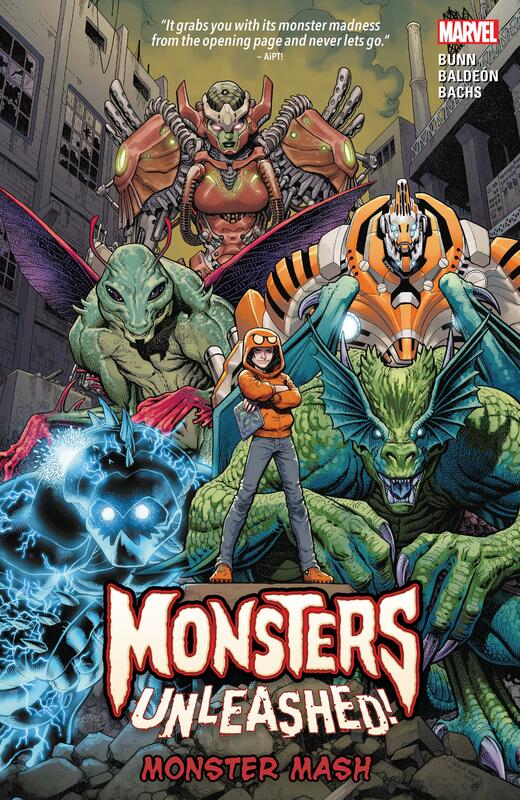 An introductory Monsters Unleashed was phenomenally successful, and led to Cullen Bunn being able to return the cast for a second run, this time covering two graphic novels. Kei Kawade, or Kid Kaiju as he calls himself, is a form of conduit between the monsters and the real world, able to summon the monsters by drawing them. 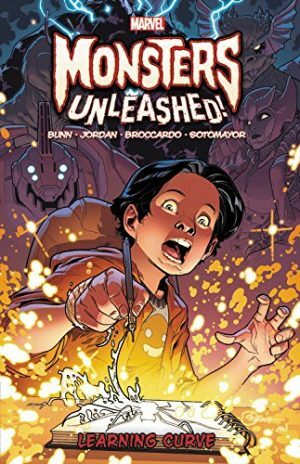 He and his family have been relocated to the remote terraformed island of Mu, engineered as a living environment for the monsters, and Bunn immediately addresses a fundamental logical problem underpinning Monsters Unleashed. 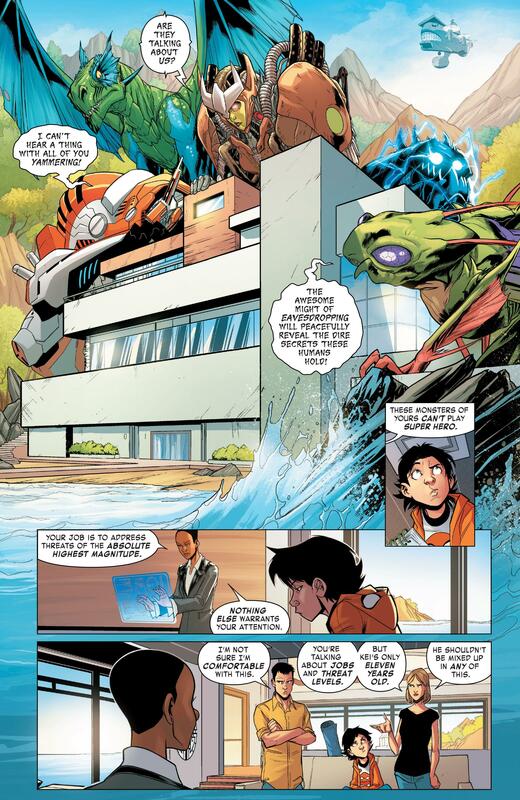 What we want is monsters rampaging through cities, and Bunn supplies this via the monsters being a form of rescue squad, but doing so potentially causes more damage and loss of life than the original threat. After an unauthorised mission Kei is allocated a supervisor, and a good aspect Bunn introduces is the contrast between a young boy being potentially one of the most powerful people on Earth, yet still having to do his school work. Contrast plays a fair part in other aspects of the story. Marvel’s most intelligent villains have united before, and they’re largely played for comedy, having all the smarts in the world, but not the common sense. The Mole Man also features in an opening story, having plans of his own for Kei. Those aspects work nicely, but attempts to create a sort of pathos for the monsters by giving them sympathetic characters aren’t as successful. They aren’t the Thing. We want them surly and vicious. Of the two pencillers, David Baldeón produces the pages with greater appeal. Both he and Ramón Bachs work in cartoon exaggeration, and both turn out monsters the way we want to see them, but Baldeón also pulls the focus back a little and provides backgrounds rather than having the cast hover over splashes of colour and power lines. Kei remains a likeable character, good natured, tolerant and happy to seek the humane solution, but the problems of an ongoing series featuring monsters that can’t really rampage hasn’t entirely been solved. Perhaps Learning Curve will manage that.